Tropical weather is one of my best weathers of all time. But with the state in the city now I don't see that happening anytime soon. Nevertheless during cool weather days I like to wear a lot of denims, light weight shirts and loafer shoes. It gives me an amazing feeling and a fantastic look. When mother-nature gives me cool easy breezy weather I get extremely comfortable. 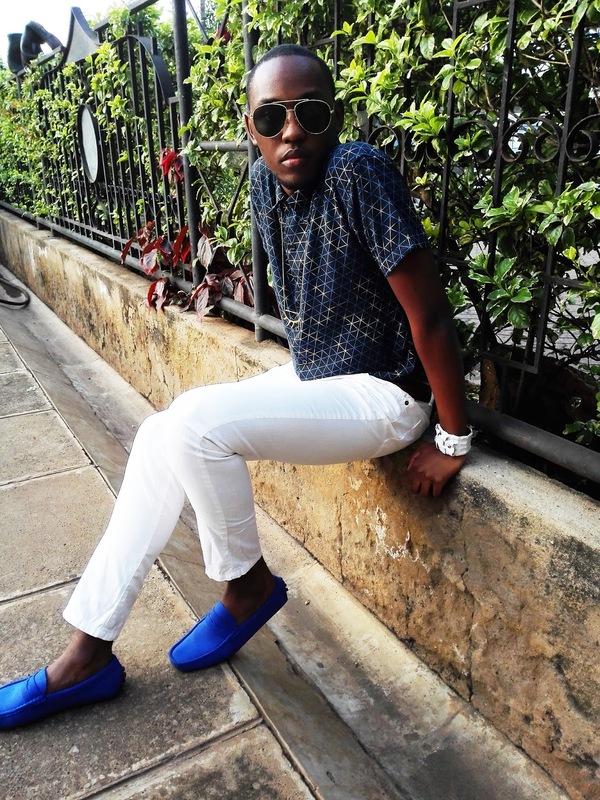 For this look I paired white slim fit denim trousers with a geometry printed black short sleeved shirt from AXIST , long necklace from local artisans, white crocodile handcuff from Ndau Collection Store and dark blue casual loafer shoes from Jumia Kenya . I hope the weather improves in the next couple of days but in the mean time keep your tropi-cool outfits for more cool easy breezy days :). If you follow me on social media platforms you will definitely know I have been nominated as Fashion Blogger Of The Year by Kenya Fashion Awards. 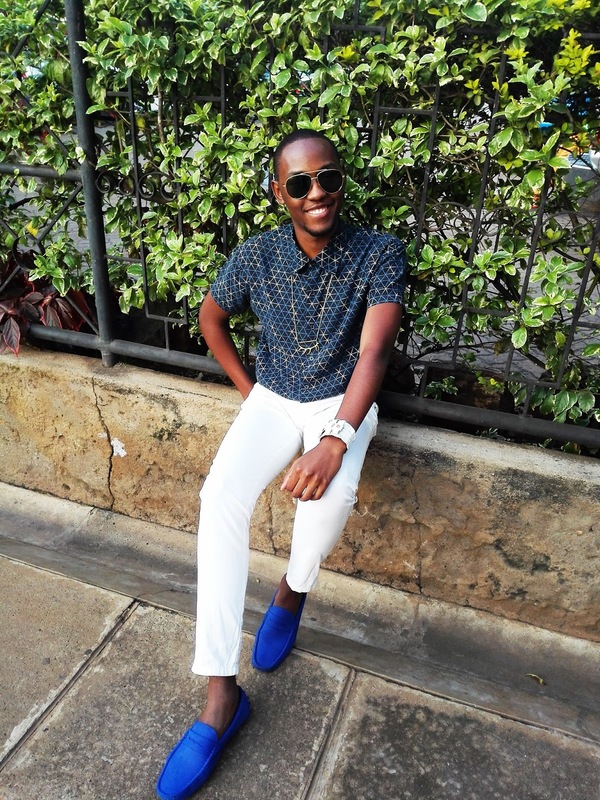 Kindly vote for me at this link http://www.kenyafashionawards.co.ke/nominees-2015 and lets bring the award home. Share with your friends also. I know we can do it!! Thank you Kate for being a regular reader :). Make sure you vote! !